It is more than a mere commentary on characters of Mahabharata. Irawati was an anthropologist and she writes like one. It is rare but not unusual for an anthropologists to mine classical texts to gain some insight about a by-gone age. As an anthropologist, she studied structure of kinship in Mahabharata but in this book we are for a different kind of treat. This work is her personal commentary on some major characters in the epic. 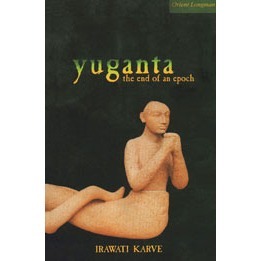 These commentaries and some other essays on various themes makes up this book under review , “Yugnata, the end of an epoch”. Karve’s interests in Mahabharata were not merely academic, she also enjoyed reading it. She took the critical edition of Mahabharata as her primary source of the story. Critical edition was produced at Pune Institute over three decades of painstaking work; depending on the grammar and style of composition, verses were classified to be originally written or later interpolation . Unfortunately, Mahabharata remains the only classical text which has gone through such an exhaustive critical scrutiny. Before the Mahabharata, a teacher was always suppose to say to his people at the end, ‘Whatever is good in me that alone should you imitate, nothing else.’ But our saint poets like Dnyaneshwar, Tukaram or Ramdas advised a pupil to follow his teacher with blind devotion… The ancients daily prayed to the Sun, ‘Keep our intellect always on the go like a horse whipped by the master.’ How could the descendants of these very people be content to hand over their thinking powers into the keeping of guru? In this short review, I can not write about her view on social norms prevalent during the time of epic. 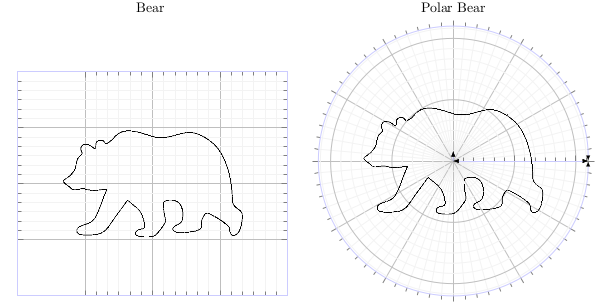 One view should be enough to bring out Karve’s approach : compare and contrast. During the time of Mahabharata, the relation between man and woman were less orthodox; the ideal of a woman’s loyalty to her husband differed from the later period. Adoption almost never happened and a woman was free to have a son from some other man if his husband demanded. This compulsion of having son with this method of niyoga disappeared when method of adoption replaced it. Along with it also disappeared the tolerance of sexual laxity (or freedom, depending on the point of view) on woman’s part. Karve provides an example. Women who were rescued from the hands of the enemy and perhaps used by them, were never abandoned and given their former status on their return. This is in complete contrast to the later one and to that of Modern Hindus who refused to accept their rescued wives when they were brought back from Pakistan after riots of 1947. Mahabharata is an unique piece of Indian literature. its realism of human condition, its lack of sympathy for anyone, its refusal to paint any super-human character, its lack of romanticism, and its refusal to take side; all of them makes it an unusual piece of Indian literature. There are no happily-ever-after. If happiness was gained, it was gained after much sacrifice. What happed to our literature which came after it. Karve tells us that the first dramatic theorist, Bharata, laid down the rule that a play must not end tragically. Later dramatic stuck to this rule so faithfully that even what was originally a tragedy, the Ramayana, was made into a comedy. Much of the Sanskrit literature which came after Mahabharata, such as Vikramamorvahiya and Skankuntalam, both written by great Kalidasa, despite of unforgettable poetic beauty have very banal endings. What I personally like in Mahabharata is the absence of hero-worshiping, and Karve took pains to compare and contrast this with the literature of bhakti-cult for which she has only contempt. People were people and relations among them were people-like. There was no divine power changing fates. Later interpolation makes Arjuna a devotee of Krishna; in original they are dear friends, she argues that no amount of persuasion on Krishna’s part could prevail upon Arjuna to kill the two old men he had refused to kill. Gods in Mahabharata are Vedic or Puranic. Even temples are not mentioned and hymns in the praise of Shiva, the thousand sacred names of Vishnu and many names of the Sun-god, are judged to be later interpolations. Overall there are eleven essays in this book. In “Introduction”, we are given a crash-course on Mahabharata; and the oral tradition of narrating it is explained. We are also told that there were more than one version of this tale. One of orator was sympathetic to Kauravas , this one is almost lost. Chapter 2, “The final effort” is commentary on the time just before the war. The character of ‘Bhisma’ is under critical scrutiny here. Had Bhisma accomplished anything in keeping his vows? Draupadi heard a dragging sound, then a great sigh. Her whole body quivered with fear. She had been waiting quietly for the moment of her death. Was a wild animal coming? A hyena? In all the days of walking on the plateau they had seen no animals. Better that it fastened on her throat at once, with out mauling her. She closed her eyes hard. As she lay waiting for the unnamed danger to strike, suddenly a shadow fell over her eyes. A curtain had dropped between her and the sun. A low deep voice called, “Draupadi.” It was Bhima’s voice. It was he who had dragged himself, gasping with effort, over the ten, fifteen feet that separated them. On the way he had seen Arjuna, Nakula, and Sahadeva lying dead, and had thought Draupadi must be dead too. When Draupadi, frightened at his approach, had quivered, he had caught with joy this sign of life. “What can I do for you?” The words came out with difficulty. It was the same question he had asked all his life, but in this situation it was utterly meaningless and incongruous. Draupadi smiled. Bringing Bhima’s face close to hers, she said with her last breath, “In our next birth be the eldest, Bhima; under your shelter we can all live in safety and joy. “The palace of Maya” talks about burning of Khandava and killing of most of forests’s animals. Why were all its birds, animals, and Nagas destroyed? Did it go counter to Kshatriya code? What were the compulsion behind it and was it morally acceptable to the norms and values of those days? In the next chapter “Paramdharmo bhayavaha” (Taking over another’s dharma is dangerous), Karve is at her best. This chapter is about moral codes, social norms and values. And there are few other things which a social anthropologist can explain better. Next two chapters are on Karna and Krishna; they do not paint the usual picture of these characters. Krishna is not a god here. He is a mere human, a great friends and a responsible chieftain concerned about the fate of his people. His transformation into a god during the later period is a paradox. Admirers of Ramdhari Singh Dinker’s “Rashmirathi” will be having some hard time coming to term with her depiction of Karna. The last chapter is the central essay of this book, Yuganta, which can be read independently and contains very rich arguments. “I read Mahabharta because I like it”; Karve gives this reason to his reader for reading it. That is not completely true for those who knows her work also know that she was driven by a acute desire to know “who we were and what we have become”. To figure this out, she took a keen interest in anthropology. And for the same reason she studied classical text. But why write about Mahabharata for public then? Ms. Karve puts here modest aim as following, “these essays are in a way an attempt to make the younger generation understand my point of view. I shall consider it a victory if they think that my interpretation is wrong and read the Mahabharata just to prove it wrong”. i came across sanskrit volumes of ramayana and mahabharata when i was kid,my dad used to translate them into telugu to tell us bedtime stories every night. to keep things simple,ramayana depicts human state of mind that is more influenced by morals and ethics.mahabharata depicts the corrupt human state of mind that evolves to master the SURVIVAL OF FITTEST principle. both ramayana and mahabharata are fiction ,they give us choice to choose perfection of goodness and perfection of survival by any means.its up to people to choose their path.in the end,mahabharata,ramayana and bhagavadgita too have its flaws in ideologies coz human mind din’t attain perfection in thinking when these scriptures were written and the writers of these scriptures had limited number of perceptions based on limited population they had those days. i read all those reviews but i couldn’t find those points that i need i want to do project work on Mahabharata i want to know about the religious practices ,social life ,architecture ,norms and related details about my project i want to write this in a travelogue form so please help me.as soon as you can . Well, I can’t provide any comprehensive list. But you should search other works by Irawati Karve (see her book “Kinship in India” which has extensive bibliography at the end). Also you can scan through P. V. Kane “History of Dharamshashtra” which must have some reference to Mahabharata. A bit of D. D. Koshambi would also be useful but I am not sure in which of his books you can find references to Mahabharta. His book on Indian Numismatics may have some good references to social life in medieval India. If you are not allergic to Romila Thapar then try reading her to a bit.